The big question here is.....DO YOU DUEL? First Round....DUEL - Cocktail (Drink) or Cocktail (Ring)? 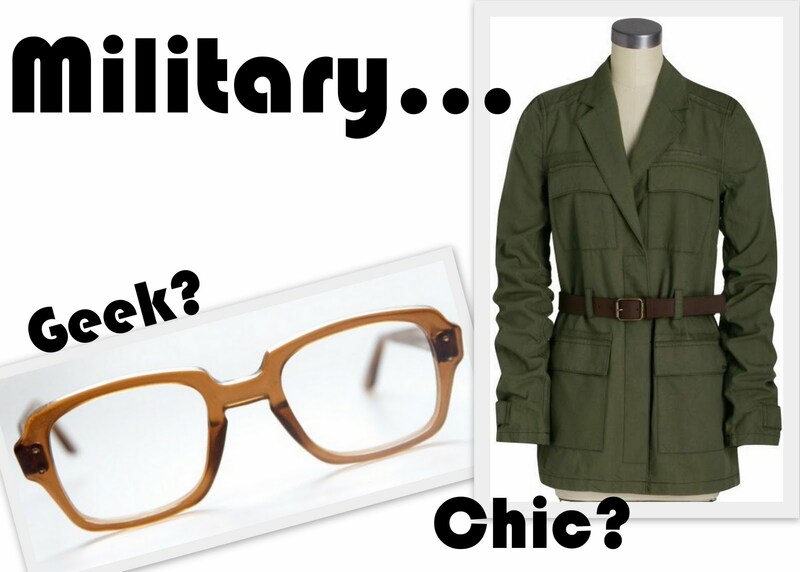 Second Round...DUEL - Military (Geek) or Military (Chic)? Drink and Geek! Cute post! Drink, no ring, no drink, no ring....ugh. Chic. Military chic, as for cocktail both are really incredibly necessary! I want the drink and the jacket! If you choose the cocktail, have an extra one for me since I have a cold and cannot indulge in a delicious cocktail for a while. I'll take it all. What does that say about me? eeps! OMG, I am ring whore, but I do like my long islands...I am gonna say both. 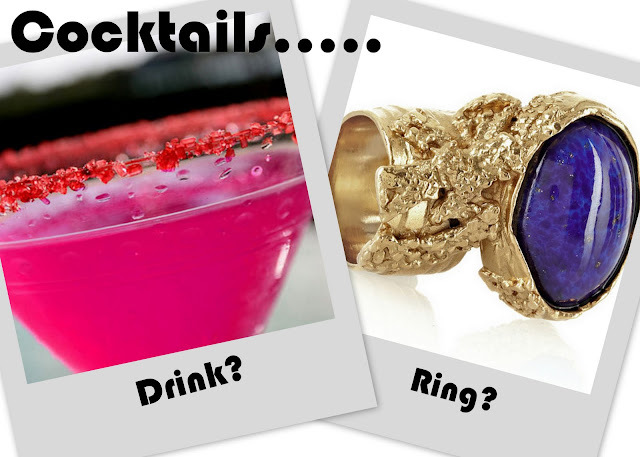 I can't pick between those too, but if I had too, I would say cocktail rings, but I want both. Ring and Chic! You know I love that military jacket...posted it yesterday. LOVE it!! Ring and Chic for sure -- what a fun post, Taylor!